Sparrow Productions, the leading movie production outfit in Ghana has churned out great movies for the past 6 years. It has also picked up various awards both in and outside the country from six feature films and four television series. In just 6 years, the outfit which is under the tutelage of Writer and Director, Shirley Frimpong-Manso and Creative Director, Ken Attoh has produced the following movies; ‘Life and Living It’, ‘Scorned’, ‘Perfect Picture’, ‘CheckMate’, ‘Six Hours to Christmas’ and ‘Adams Apples’. Sparrow Production in an exclusive press briefing held at its Kokomlemle offices in Accra unveiled to media personnel their ‘4 Big Things’ which is set to change the way the outfit operates. GhanaGist.Com witnessed the launch. Ladies and gentlemen, below are Sparrow Productions’ ‘4 Big Things’. The new Sparrow identity, a more lucid and crispier version of its six-year old logo has attributes that reflect the company’s maturity, metamorphoses and growth into a full-scale film production firm with a distribution and new online video-on-demand arm. 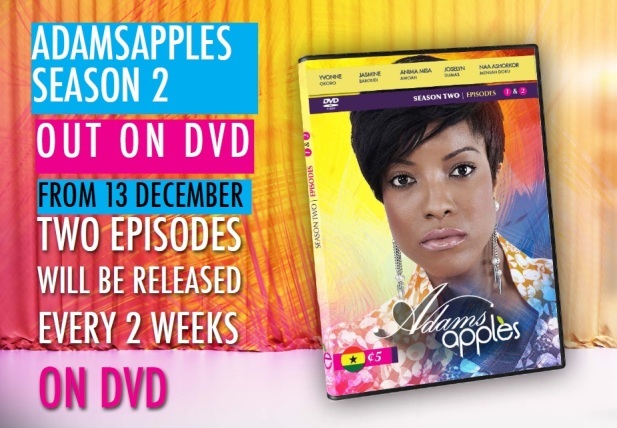 In addition, Sparrow announces the beginning of the release of all 26 episodes of the second season of Adams Apples on DVD, every two weeks from December 13. DVDs, unlike the VCD, have a higher digital resolution and give a far better viewing experience. A week later, on December 20, after a three-year hiatus, a new Sparrow feature film, titled POTOMANTO will be released at the Silverbird cinema at the Accra Mall. Subsequently, it will continue to show at the Accra Mall, as well as at the new Silverbird cinema at Wieja. 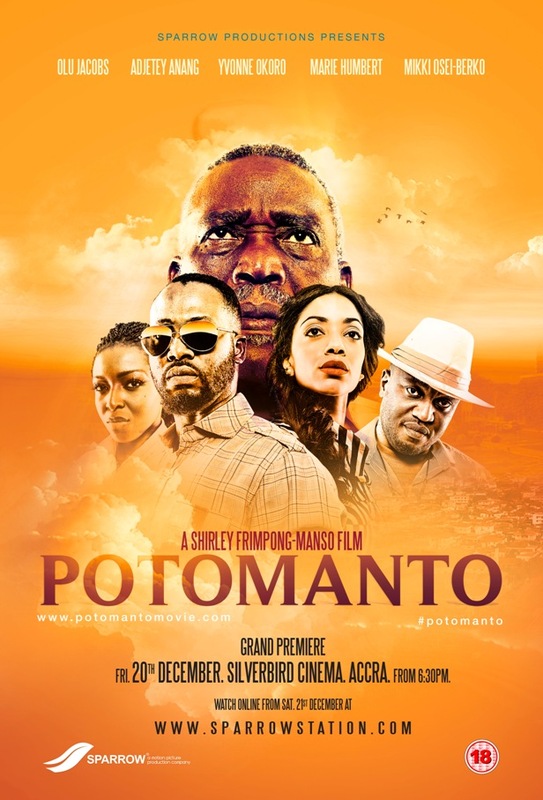 Potomanto, an investigative thriller, stars AdjeteyAnang, veteran Nigerian actor Olu Jacobs, Marie Humbert, Yvonne Okoro and MikkiOsie-Berko, who having been off the scene for a while now, makes a come-back that is critical to his career. The storyline for Potomanto, is as intriguing as the title itself, and sees the Sparrow crew challenge themselves to translate it such that the audience is glued and taken along a fantastic cinematographic journey. An angry ex-police officer’s mission to catch cheating women turns fatal when he stumbles into a diabolical plot of ‘illegal organ harvesting’ and the young hustlers who are lured into making deadly sacrifices for a chance abroad. Written by Shirley Frimpong-Manso and Senanu Gbedawo and Directed by Shirley Frimpong-Manso, who is the CEO of Sparrow, the film was produced by Ken Attoh and Shirley Frimpong-Manso, who have worked together on all of Sparrows features and series. An excited Shirley attributes the incredible outcome of the final product of Potomantoto her team, the crew and cast, who worked with punishing schedules to meet deadlines. “We are so blessed to have such an incredible team of talented technicians and actors to work with,” says Shirley. “For six years we have been on a journey creating suspense, unfolding drama, intensifying thrills and telling stories to touch hearts and stimulate minds. Our stories have made some cry; some laugh and others debate our themes. But our major challenge has been how to get the rest of the world to see our stories, looking at the amount of requests we receive via our social media pages and Diaspora grapevine on a daily basis,” muses Ken the Creative Director of Sparrow. To bridge this gap, the challenge of global distribution and reaching an even wider audience, as well as circumnavigating the bane of global media piracy, Sparrow announced the launch of their new online video-on-demand service called SPARROW STATION provided by their media distribution arm, Sparrow Connect Inc.
A game changer for Sparrow, this means “Sparrow’s stories can be enjoyed to the max, in full high definition viewing on the Internet across all five continents at any time, explains Ken. 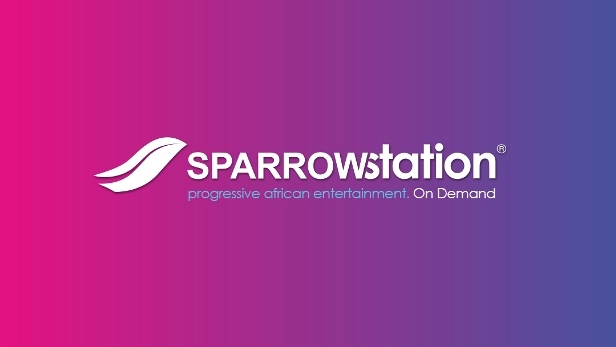 Sparrow Station will stream quality African entertainment; the growing collection feature films, series and short films produced by Sparrow Productions and other partner production houses. And the experience of watching content on Sparrow Station is “as simple as browsing through the available titles and renting any using a debit card, credit card or paypal. Some of these titles can be viewed for up to six months making it possible to watch favorites over and over again,” he added. 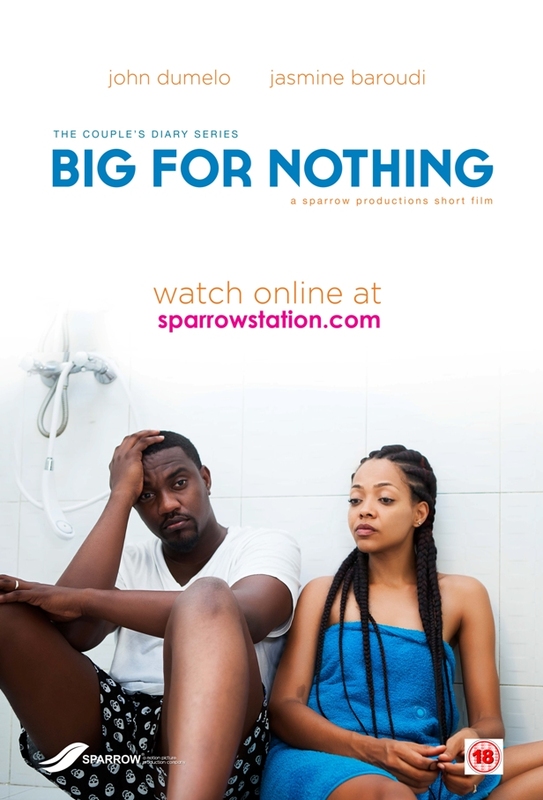 Sparrow Station goes live on December 13 at www.sparrowstation.com and joining the Sparrow mailing list prior to this date will get you free access to watch Sparrow’s very first short film, “Big for Nothing”. All the other Sparrow movies, including the very latest, will also be showing there. As part of this growth, Sparrow has also introduced a new ‘short film’ category in addition to the feature films and series categories it already produces. The 10 – 15 minutes short films concept entails a complete story, which usually ends with an inquiry that encapsulates the essence of a particular social subject and is designed to generate public discussion. Sparrow Productions unveils ‘4 Big Things’ 0 out of 5 based on 0 ratings. 0 user reviews.